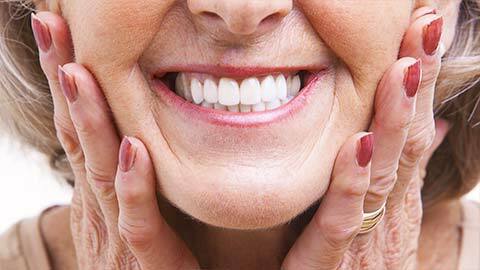 If you’re missing teeth, dentures could be just what you need to perk up your smile. At Gateway Dental, we offer full and partial dentures to replace your missing teeth. These are removable prosthetic devices made from acrylic resin, often containing porcelain or metal to provide additional structural support. While supported by the surrounding tissues of the oral cavity, dentures help to strengthen the muscles that control your facial expressions. They also improve your chewing and the aesthetics of your smile. Remember: it’s important to take good care of your dentures. Brush them daily as if they are your natural teeth! 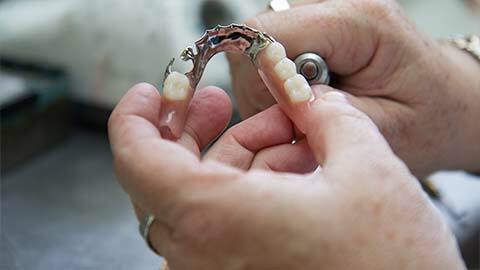 Contact Gateway Dental to learn more about dentures and whether they’re right for you.